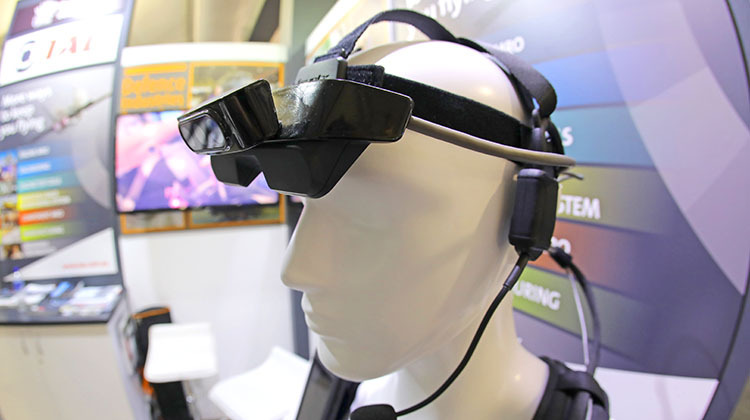 Australian engineering services company TAE recently began trials of fountx, which it describes as wearable assisted technology comprising a headset that includes a camera, microphone and eye-level display screen powered by a computer inside a backpack. The fountx technology was recognised with a civil industry national innovation award at the Avalon Airshow on Thursday. TAE chief executive Andrew Sanderson said it allowed engineers to turn a two-day exercise into a one-hour job. “As people aren’t being trained or they are leaving the aviation industry, you will have less and less certified people,” Sanderson said at the Avalon Airshow on Thursday. Sanderson said TAE was working with the regulator on certification around signing-off work that was checked by experts via fountx. “If someone is doing a job and they have recorded it, it is great record of what they have done that an expert 1,000km away can actually be doing the certification of that job,” Sanderson said. “Certification is authorising the aircraft to return to service. I have seen what that person has done, they have followed the manuals, they have followed my instructions, I am happy that it is certifiable.